Behind Pakistan and Jinnah were much bigger forces. These forces needed the partition of India. A few decades earlier, India-Pakistan sporting encounters were most awaited by sports enthusiasts in India and Pakistan. India-Pakistan cricket now comes lower down in India at least – and the place has been taken up India-Australia cricket series. Now Pakistan is asking David Morgan, from the ICC to ‘intervene’ and“to convince the BCCI to play a series in England” against Pakistan. 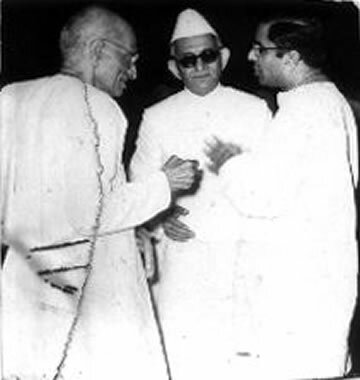 The Cabinet Mission Plan is now of academic interest since it was overtaken by Partition, but it is true that on June 25, 1946 Congress accepted it in the hope of establishing a “united democratic Indian Federation with a Central authority, which would command respect from the nations of the world, maximum provincial autonomy and equal rights for all men and women in the country”. And on July 10, Nehru, newly elected Congress President, rejected “Grouping”, one of the key (if still opaque) aspects of the Plan. Azad described this, politely, as one of those “unfortunate events which changed the course of history”. (from Jaswant’s Jinnah: Dividing India to save it By M J Akbar). Jinnah’s obstructive version of politics (born of British divide-and-rule) made many doubt how well a large Islāmic population would meld into India. Considering that 25% of this India would have been Muslims – numbering about 50 crores. This would have given India the world’s largest Muslim population. 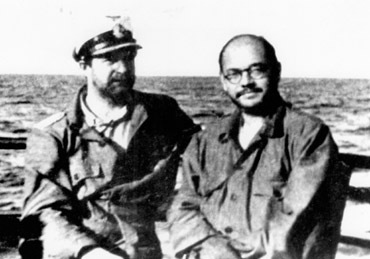 SC Bose and the IIL had significant presence across most of SE Asia. After all, how could arrangements for Netaji’s escape from India and travel via Afghanistan, Russia to Germany happen! With the passing away of SC Bose, and the IIL, India’s international agenda had little chance of success. Our knowledge of Jewish life in the second century B.C.E. comes mainly from Flavius Josephus (37/38-95/100 C.E. ), the great Jewish-Roman historian who wrote in Greek, the scholarly language of his time. The hellenization of the Jews had been thorough.The King of Judea and the High Priest of Yahweh had Greek names. (page 240). During the third century B.C.E., the Tobiads were the principal advocates of hellenization among the Jews (Grayzel 1969:49). The Jewish family called the Tobiads (the sons of Tobias) traced their ancestry to Tobias the Ammonite, governor of the Persian province of Ammon (now Jordan), east of Jordan River, during the tenure of Nehemiah in Judea in the fifth century B.C.E. One of them, Joseph ben Tobias, became very prominent during the second half of that century. (page 219). By the beginning of the third century B.C.E. the Jews were being hellenized rapidly. They no longer spoke Hebrew or Aramaic, but Greek. Their religious services were conducted in Greek. Their personal Hebrew names were hellenized: Honio became Onias, Ezra became Esdras, Yeshua became Iesous (Jesus), and Joshua became Jason. Some Jews had Greek names only, such as Antigonus, Hyrkanos, Aristobolus, or Philon (Philo).The choice of such names by Jews for their children indicated the degree of their hellenization. (page 219). During the reign of Ptolemaios Philadelphos (Ptolemy II, 308-246 B.C.E. ), the Torah and other Jewish holy scriptures were translated into Greek by a synod of scholars. (page 215). During the years that he was the High Priest and ethnarch (175-171 B.C.E.) Jason promoted Greek sports at the expense of Temple worship. Jason did not last long in the office of High Priest. He was unseated in 171 B.C.E. 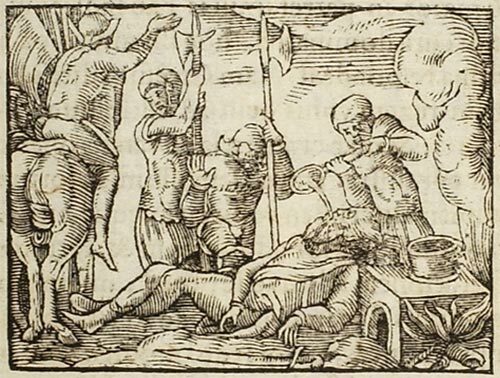 by Menelaos, a member of the noble Jewish Tobiads and a more extreme Hellenizer than Jason himself. (page 224-225). By the first century, Greek had become the language of the Jews in the”diaspora”. The Jews of the Hellenic world spoke Greek the way present-day American Jews speak English. 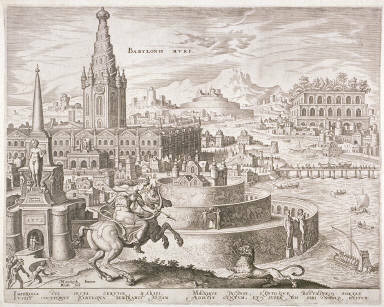 During the Greco-Roman and the Byzantine periods, from the late fourth century B.C.E., to the early seventh century C.E. most Jews were thoroughly Hellenized. (page 454). By the third century B.C.E the Jews of Syria, Palestine, and Egypt had become thoroughly hellenized. They worshipped Zeus, Hera, and the rest of the Greek pantheon. There were images of Greek sun god Helios, the wine god Dionysos, and the demigod Heracles on Jewish synagogue floor mosaics at Sepphori an other Gallilean cities as late as the sixth century C.E. But the Orthodox Jews violently resisted Hellenism. The conflict between Helenism and Judaism, or rather between hellenized and Orthodox Jews, was to lead to major trouble in the second century BCE, after Palestine was captured from Egypt by the Seleucid Greeks of Syria. (page 215). Just as in modern America most Jews use English rather than Hebrew in their religious services and rituals, so Greek was used by the Jews of Egypt, including Judea, in their religion (page 215). Jews always spoke the language of the land which was their home. When expulsions and persecutions eventually brought about a wider separation between the Jews and the non-Jews, the result was a growing dissimilarity between the intimate languages spoken by each group. (Grayzel quoted on page 458). in the early fourth century, the Jews were divided into three main groupings. Those living in the Western Roman Empire of Italy, which comprised much of Western Europe, spoke mainly Latin, the lingua franca of the West, and the native European languages of the ethnic groups amongst whom they lived. The Jews of the Eastern Roman Empire of Byzantium, with its capital at Constantinople spoke mainly Greek, the language of the East. The Jews living in Sassanian Neo-Persian empire east of the Euphrates spoke mainly Aramaic. Hebrew continued to be spoken by Jewish scholars and by the people in their prayers. (page 337). During the seventh and eighth centuries the lands inhabited by Jew in the Middle East and North Africa were conquered by the Muslim Arabs. Arabic became the language of the these Jews. (page 454). Text extracts from A psychoanalytic history of the Jews By Avner Falk. The Jewish population, followers of one of the oldest religions in the world, across countries and in Israel, today faces an existential challenge. With 0.25% of world population, i.e. less than 1.5 crore Jews left, in a world of more than 600 crore people, they have made enemies of their neighbours around their country. The Jewish state, dependent on US largesse, hangs by a thin thread. Without Hitler, the world population of Jews would possibly have been not much better. Maybe 2.5 crores instead of 1.5 crores (at the risk of sounding insensitive). Maybe 0.5% of world population, instead of 0.25%. Also, must be remembered that Jewish studies in the modern context are affected by the ‘Jews as the eternal victims’ syndrome. Admixture analysis based on binary and Y-STR haplotypes indicates a high mean proportion of ancestry from North African (10.6%) and Sephardic Jewish (19.8%) sources. Despite alternative possible sources for lineages ascribed a Sephardic Jewish origin, these proportions attest to a high level of religious conversion (whether voluntary or enforced), driven by historical episodes of social and religious intolerance, that ultimately led to the integration of descendants. (from The Genetic Legacy of Religious Diversity and Intolerance: Paternal Lineages of Christians, Jews, and Muslims in the Iberian Peninsula by Susan M. Adams, et al; Copyright 2008 The American Society of Human Genetics, The American Journal of Human Genetics, Volume 83, Issue 6, 725-736, 04 December 2008). Another study concludes that the Jewish population shares a high level of common paternal similarities. Several lines of evidence support the hypothesis that Diaspora Jews from Europe, Northwest Africa, and the Near East resemble each other more closely than they resemble their non-Jewish neighbors. The only exception was the Ethiopian Jews, who were affiliated more closely with non-Jewish Ethiopians and other North Africans. Second, despite their high degree of geographic dispersion, Jewish populations from Europe, North Africa, and the Near East were less diverged genetically from each other than any other group of populations in this study. At the most basic level, the genetic distances observed among Jewish and non-Jewish populations can be interpreted as reflecting common ancestry, genetic drift, and gene flow. The latter two processes will tend to increase genetic distances among Jewish populations, whereas admixture will also have the effect of decreasing genetic distances between Jewish and non-Jewish populations. Jews accounted for 10 percent of the total population of the Roman Empire. By that ratio, if other factors had not intervened, there would be 200 million Jews in the world today, instead of something like 13 million. (He goes onto recount that the) potential demographic crisis facing the Jewish people is defined by the loss of the murdered millions, not only in the twentieth century, but in all others. (from Constantine’s sword By James Carroll, page 26-27, texts in brackets, mine). Population growth and changes (of not just the Jews) are subject to interplay of complex demographic factors – like assimilation, disease, migration, reproduction rates and proselytization. Since these factors affect all human populations, further analysis of these factors may just reinforce current red herring theories. The Israel and USA tango - who is using whom! Jews – the eternal victims? Of course, Jews have not been the only population group in the world who have had to face the problems of epidemics, migration, assimilation, and conversion. What could have been a significant reason for the decline in the Jewish population over the centuries? A 2ndlook at history points out (extracts above) that the Jewish populations gave up their language and culture ab initio. Within a few centuries of its foundation, they were giving up on their culture. Interestingly, and apparently, language plays an important and crucial role in the expansion and growth of populations – as the Jewish case seems to suggest. The Jewish history has invaluable lessons for Indians. For one, all those who think that English is God’s special gift to India (and mankind), should look at the eclipse of the Greek language. I am yet to discover the logic which shows that English will fare better than Greek, Spanish, Persian or Urdu. The massive subsidy given by the Indian state towards English language education needs to be phased out. Indian languages (all of them) should start getting back on their feet. The people of India, each individual will choose their language. No bureaucrat, politician, ‘intellectual’ will decide that. Finito. Completo. Terminato. Endlich. Eindig. ändlig. The Indian language basket also calls for diversification. India needs to learn more foreign languages. The great ‘software success story’ is actually two countries – US and UK who give between 70%-80% of Indian software business? This is coolie labour! We are missing out on the massive Japanese, French and the Spanish markets because we have not invested in those foreign languages. And we have missed out on computing in Indian languages, because we have not invested there either. The theory that Huns destroyed Takshashila in 5th century is a theory with no legs – and a case without evidence. So … then what could have happened? As the oldest university in the world, Takshashila has a special place in the history of the world. More so, in Indian history. It’s destruction (purportedly) at the hands of the Hunas, as proposed by Western historians (and their followers) has been rather facile – to say the least. There is evidence that the truth may be otherwise. This post lays out an alternative scenario, but before that let us refresh ourselves with the history of Takshashila. The Vayu Purana traces the start of Takshashila, to Taksha, son of Bharata (brother of Raghu Ram Chandra). Takshashila also finds a mention in Mahabharata – citing Dhaumya, as the acharya of Takshashila. It was at Takshashila, that Vaishampayana made the first recorded narration of the Mahabharata to Janmajeya. According to a story contained in the Mujma-t-Tawarikh a twelfth-century Persian translation from the Arabic version of a lost Sanskrit work, thirty thousand Brahmans with their families and retinue had in ancient times been collected from all over India and had been settled in Sindh, under Duryodhana, the King of Hastinapur. (from Al-Hind, the Making of the Indo-Islamic World By André Wink). The Buddhist anthology of stories, Avadana-shataka mentions that “3.510 millions of stupas were erected at the request of the people of Taxila”. Students paid upto 1000 coins in advance to receive education at Takshashila – and there were thousands of such students. Students came from all over the world – and paid large sums of money to Indian teachers for education! Kings, brahmans, commoners – all came to study at Takshashila. Its alumni included all the stars of the Indian firmament – Atreya, Pasenadi, Mahali, Patanajali, Jivaka, Panini, Kautilaya, Prasenjita. Takshashila and Purushpura on either side of the Sindhu river were connected with the Indian trade routes on the Indian side and Central Asian trade routes on the other. Strategically located, Takshashila, the capital of Gandhar, was the terminus of several inland routes and the starting points of the great trade routes connecting India and Central Asia. (from India and Central Asia By J. N. Roy, Braja Bihārī Kumāra, Astha Bharati (Organization)). Based on subsequent excavation and diggings, it is thought that Takshashila was the oldest city in South Asia – when Alexander landed there. So Takshashila’s historic and cultural importance is too high to become a victim of slip-shod colonial propaganda – posing as history. An important source for ‘modern’ history, much used by Western historians are the travels of Chinese travellers (like Fa Hian/ Faxain, Huien Tsang /XuanZang). Supposedly 1000 years after death of Gautama Buddha, overlooking some gaping holes in Fa Hian’s travelogue. How could Fa Hien miss meeting /mentioning Kalidasa – supposedly a contemporary of Fa Hien? In fact, Kalidasa is not mentioned at all in Fa Hian’s account, which supports the hypotheses that Kalidasa preceded Fa Hian. It may be pointed out that since, Kalidasa’s works are artistic rather than religious or philosophical, the lack of Fa Hain’s interest in his works is obvious. But to ignore a man of Kalidasa’s stature and learning? Then Fa Hian misses the name of the supposed ruling ‘Gupta’ king – a dynasty which ruled over most of South Asia! And it is Fa Hian who is supposedly a significant authority on the Gupta period. Western history labelled the Gupta period as the ‘golden age’ of Indian history – which Fa Hian seems to have completely missed. Similarly when Fa-Hien visited Takshashila in 5th century AD (travelled in India during 399-414 AD), he found nothing. His travelogue makes some cursory mentions of Takshashila. And that leaves Indian history with some rather big ‘dating’ holes! Is it that Fa hian visited India much after Kalidasa, the Gupta dynasty, the death of Buddha? Maybe a few centuries later, relative to the period in Indian history. Fa Hian’s date is well indexed. So that possibly cannot move much. It is the the corresponding Indic dates which come into question! The colonial narrative traces the destruction of Takshashila in 499 AD, by the Hunas (Western history calls them White Huns, Romans called them Ephtalites; Arabs called them the Haytal; The Chinese Ye Tha). Western ‘historians’ have ascribed the demise of Taxila to the White Huns, a Central Asian, nomadic tribe, roaming between Tibet to Tashkent, practicing polyandry. Takshashila lying at the cross roads of the Uttarapatha (West calls it The Silk Route) – from Tibet, China, Central Asia, Iran – and India, fell to this mindless savagery, goes the ‘modern’ narrative. But specifically, there is no mention in Chinese, Persian, Indian texts (that I could find) of the Hunas who destroyed Takshashila. So, how and where did this story spring from? Kanishka, a major Buddhist king, was a Yue Chi, known as Tusharas in India, related to the White Huns. Why would his tribal cousins destroy Takshashila? the hordes of Ephthalites or White Huns which swept over Gandhara and the Panjab in the third quarter of the fifth century, carrying ruin and desolation wherever they went. (from Taxila – an illustrated account of archaeological excavations By Sir John Marshall page 76). Thirty two coins, all of them silver, leave no room for doubt it was it was the White Huns who were responsible for the wholesale destruction of the Buddhist sangharamas of Taxila … several skeletons of those who fell in the fight, including one of White Hun, were lying. (ellipsis mine; from Taxila by Sir John Marshall page 791). the White Huns, or Hephtalites, felt a kind of hatred toward Buddhism and strove to destroy all its physical as well as mental manifestations during the fifth century. This is how Taxila brutally vanished. (from Books on fire: the destruction of libraries throughout history By Lucien X. Polastron, Jon Graham page 107-108). sacking monasteries and works of art, and ruining the fine Greco-Buddhic civilization which by then was five centuries old. Persian and Chinese texts agree in their descriptions of the tyranny and vandalism of this horde.” (from The Empire of the Steppes By Rene Grousset, Naomi Walford). Although the exact relationship between the Buddhist communities of the Peshawar basin and the new Hun dynasty is not entirely clear, there is considerable evidence to suggest that Buddhism continued under Hun rule … (there is) textual evidence to show that Chinese Buddhist pilgrims continued to visit Gandharan sites in the Peshawar Basin into the early sixth century C.E. ; The Bhamala main stupa can be compared to the 7th to 8th century cruciform stupas in Kashmir, Afghanistan, and other parts of Central Asia. (from The Buddhist architecture of Gandhāra By Kurt A. Behrendt pages 207-209). Technically, it was also pointed out that Sir John did not stratify his digs, which creates a dating and sequencing problem. Going with self-aggrandizing nature, Sir John also focussed on ‘glamourous digs’ – without focussing on the connectivity issues. For more on the decline of Takshashila, it is Alexander that we must turn to. Alexander has long been a vital cog in Western colonial narrative of history. Alexander’s halo gave bragging rights – first to the Greco-Romans and then to the Euro-colonialists. The American Department of Defense, in its Legacy Program, has a section on Cultural Heritage Training. The use of Alexander’s mythos there is self evident. Between the Greco-Roman historians and the Euro-Colonialists, has sprung an entire industry, to create a mythos surrounding Alexander. 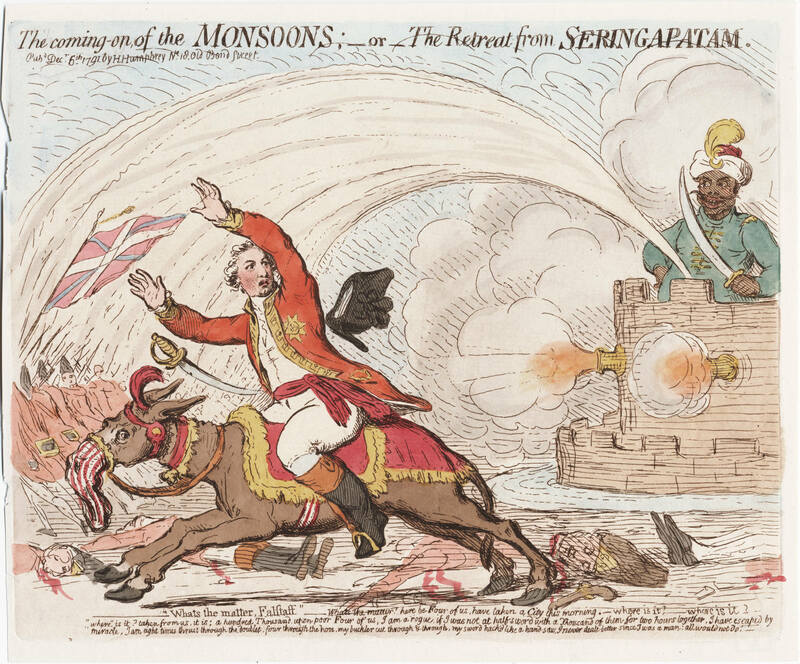 Amongst Alexander’s first actions in India were his attempts to cobble up alliances. His most famous one was with Ambhi – the ruler of Taxila. In India, Alexander had to pay the King of Taxiles, Omphis, (Ambi) 1000 talents of gold (more than 25 tons of gold) – to secure an alliance. To cement this alliance, Alexander ‘gifted’ Ambhi with ‘a wardrobe of Persian robes, gold and silver ornaments, and 30 horses, 1000 talents in cash’. 1000 talents is anywhere between 25,000-60,000 kg of gold! Does this look like Ambhi accepted Alexander as the conqueror of the world – or Alexander ‘persuading’ Ambhi to seal an alliance? During the three years anterior to the passage of the Indus, Balk (Bactria) was usually Alexander’s headquarters. It was in these countries that he experienced his only serious reverses in the field. (from On the practicability of an invasion of British India By Sir George De Lacy Evans). The tribes and kshatrapas (satraps) of Indian North West swath, delayed Alexander for nearly three years – before he could step into India. In India, Alexander had to pay the King of Taxiles, Omphis, (Ambi) 1000 talents of gold (more than 25 tons of gold) – to secure an alliance. He had to return the kingdom of Punjab to Porus – purportedly, after winning the battle. His loot and pickings from India were negligible. To these lean pickings, Alexander’s reaction – “the Macedonians frequently massacred the defenders of the city, especially in India.” What was Alexander’s response to a ‘sub-continent occupied by a complex network of peoples and states, who viewed Alexander as a new piece to be played in their complex political chess game.’ Another modern historian, an expert on Greek history writes that ‘the tale of slaughter told in the ancient sources is unparalleled elsewhere in the campaign.’ ( from Ancient Greece By Sarah B. Pomeroy, Stanley M. Burstein, Walter Donlan). Alexander’s massacres in India, a colonial historian informs us (without naming a source), earned him an “epithet … assigned (to) him by the Brahmins of India, The Mighty Murderer.” This Indian Brahmanic characterization of Alexander, commonly taught to English schoolchildren and present in Eglish college texts, as The Mighty Murderer, curiously disappeared from Western-English texts soon after 1860 – and instead now “a positive rose-tinted aura surrounds Alexander” … ! Greek writers report, that Alexander finally realized that it was the Indian Brahmins who had influenced Indian princes to organize and support the Indian war against Alexander. Greek sources cite, after this realization, at ‘The City of Brahmans’, Alexander massacred an estimated 8000-10,000 of these non-combatant Brahmans. His question-answer sessions with the 10 Indian-prisoners-Brahmans (called Gymnosophists by the Greeks), related by Plutarch, shows Alexander asking inane questions – at sea, completely lost. And arising from this frustration, came Alexander’s wanton massacres at Takshashila – which thereafter limped along for the next 1000 years, but never to fully recover. the Zoroastrian tradition is unanimous that Alexander ‘killed several high priests and judges and priests and the masters of the Magians and upholders of the religion’ (Book of Arda Wiraz 1.9), ‘quenched many sacred fires’ (Great Bundahishn 33.14) and ’caused great devastation (Denkard 4.16 and 7.7.3). This ‘evil-destined and raging villain’ (Denkard 8.pr.20) was not just regarded as a collaborator of Angra Mainyu, but as one one of the calamities that the evil one had sent to earth to destroy what is good. Alexander even received the surname Guzastag, the Accursed, a title that had until then only been used to describe Angra Mainyu. It is possible -perhaps even likely- that several apocalyptic texts from the Avesta were composed during the reign of Alexander. A set of Babylonian tablets, published in 1975, the Alexander Chronicles, mention that Alexander killed Kidinnu – most probably the famed Babylonian astronomer. The name Kidinnu itself seems to be derived from the Sanskritic word, ‘Krishna’, the Dark One. Was Kidinnu better known by his assumed Sanskritic name? The Indo-Assyrian collaboration, represented by the Babylonian texts and schools give significant weight to this hypotheses. At the time of Takshashila’s decline in the 5th century, a significant Gupta king was Purugupta – successor of Skandagupta. Written records from Purugupta’s reign are few and far in between, he has been variously named as Vikramaditya, Prakashaditya and of course as Puru /Pura Gupta. Is it that the Porus identified by the Greeks, Purugupta? Were the marauding soldiers, mentioned in Chinese texts, mercenary soldiers hired by Alexander to replace the ‘deserting’ Greek’ soldiers, on the eve of his Indian ‘campaign’? The dating of the Gupta dynasty to end of the 5th century AD, is probably off by about 800 years. Taksashila’s destruction raises an obvious question! And also important. What did Indian polity do to defend centres of excellence like Takshashila? To protect such a vibrant and important centre of leaning, the Indian polity had evolved a complex structure across the entire North Western swath. Thus while, within the Indic area, borders and crowns kept changing and shifting, invaders were kept at bay. A system of alliances supporting frontline kingdoms in the entire North West Indian swath was formulated. For instance, against the Assyrian invasion, led by Semiramis, a minor Indian king, Stabrobates, was supported to beat back the Assyrian invasion. Against Cyrus the Great, Tomyris, a Scythian Queen was supported to massacre Persian invaders. Alexander’s nightmare began immediately, as soon as he crossed from the Persian area into the area governed by the Medes – an Indic area. A symbol of these alliances, for instance, was the House of Suren’s traditional rights to install the crown of Persian rulers. Some ancient maps show the Gandhara-Takshashila region as Suren. And it was at the hands of these very Surens that Crassus met his nemessis. At the hands of the Indo-Parthian armies – led by a Suren general. The Sassanian dynasty was able to wrest back and defend Persian dominions from the Greco-Romans, after setting up an elephants corps in their army – evidenced, for instance, by the carvings at Taq-i-Bustan. At one time, the Sassanian rulers had increased its elephant corps to 12,000 elephants. Roman forces retreated, when confronted by Indo-Sassanian armies with Indian elephants. For the next nearly 400 years, Romans were wary of any large expeditions into Indo-Persian territories. 500 years later (nearly), with the help of the Indian elephant corps, the Sassanians stopped the Romans at Persian borders in 363 AD. But it is interesting that the enemies of the daiwas (enemy of devas are the asuras, in Indian scriptures), the Zoroastrians (followers of Ahura Mazda, speculatively Mahishasura) allied themselves with a Suren. 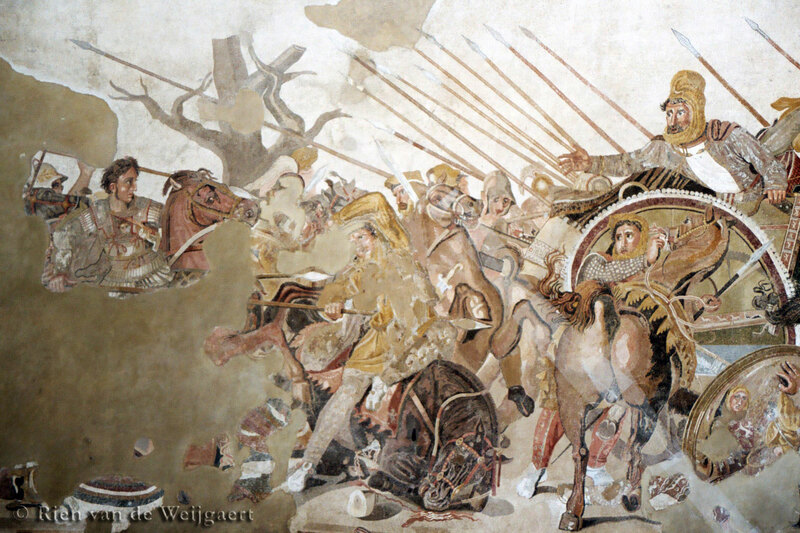 A 1000 years later, the Sassanian army, had forgotten their lessons – and could not use their few elephants to full effect, against the Islamic Arabs. Without access to the ‘Indian thought factory’, after the fall of Takshashila, in 499 AD – by the Huna (dating as per Western history which calls them White Huns, Romans called them Ephtalites; Arabs called them the Haytal; The Chinese Ye Tha) Buddhism soon became a religion. Buddha in India, was another, in a long line of teachers. But in the rest of world, Buddhism soon became a religion. 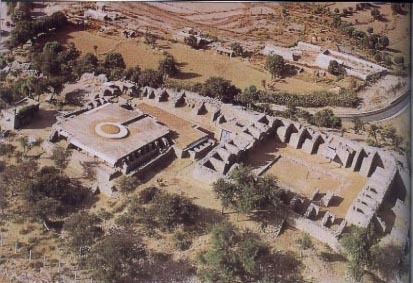 The destruction of Takshashila (Taxila) meant that students and scholars would need to travel for an extra 60 days to reach the other Indian Universities of the time. This was a traumatic event in the status of the Indian ethos – even the Asiatic ethos. The decline of Taksashila marked the destruction, persecution and decline in Indian education, thought and structure. Fewer believers in Indian faith systems made the trip to India. ‘Consumers’ of ideological products from the ‘Indian Thought Factory’, were left with Desert Bloc alternative products. Buddhism soon became a religion outside India. A few centuries after decline of Takshashila, Nalanda, etc. were also destroyed by Desert Bloc invaders.